OECD Forum 2018: Meet the Author with Matt Desmond | The Forum Network, hosted by the OECD: Shape ideas. Shape policy. Shape the Future. The Meet the Author events at the OECD Forum offer a unique opportunity to go deeper into the challenges our societies are facing today and to explore what brings us together. These sessions are designed for exchanging new ideas and for encountering creative new voices and views. We can’t fix poverty without fixing housing, argues Matthew Desmond in his award-winning book, Evicted: Poverty and Profit in the American City. Without affordable decent housing, many families’ budgets are consumed by the struggle to keep a roof overhead and escaping poverty becomes impossible. 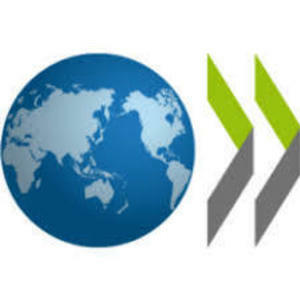 At OECD Forum 2018, Mr. Desmond, a professor of sociology at Princeton University, speaks to Joaquim Oliveira Martins, Special Advisor, Centre for Entrepreneurship, SMEs, Local Development and Tourism, OECD, about why this is so – and what can be done about it. Each year we identify authors and books at the heart of OECD Forum agenda, addressing issues and dimensions that complement the OECD’s own analysis. As we begin preparations for OECD Forum 2019, we want to know what you've been reading! Join the Forum Network and post your recommendations for recently published or upcoming books on housing in the comments below to help us co-create next year's Meet the Author sessions!